The Royal Racing Stage is a great short but shouldn't it really come with a liner? We ordered a medium size Stage, because Royal is notorious for coming up big, but this short is a little bit tight across the hips. It’s not a big deal, but it does mean you should check the sizing before you buy. The good news is that the medium is long enough in the leg to overlap kneepads, without having to ride with the short hanging off your hips. The Stage has the longest waist adjusters of any short on test, which is great news if you have long legs but a narrow waist. It’s also available in the widest range of sizes, including an absolutely enormous XXL. Double-studded poppers provide belt and braces security, with an extra hook and loop fastener as a final failsafe. 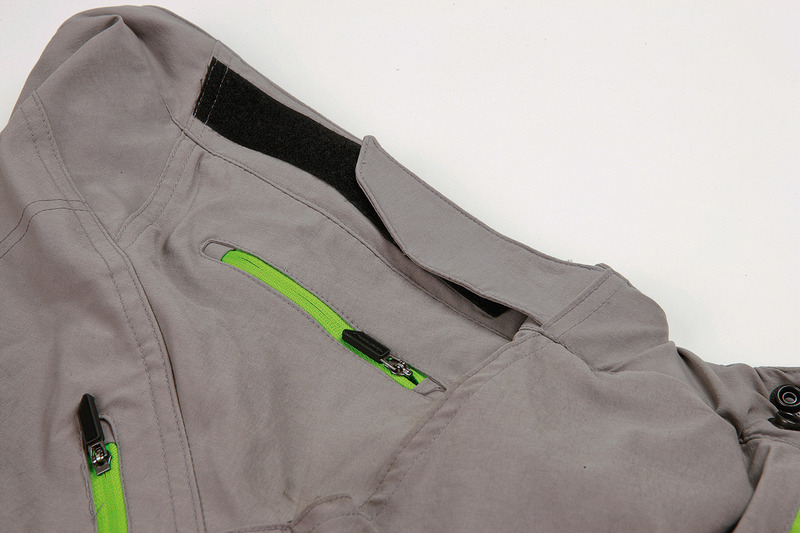 To safely stash keys or a phone, the Stage has deep hip pockets and zipped side pockets — the latter are mesh-lined and provide additional venting if left open. This is a great baggy, but with no liner it’s just a little high-end; enough to stop it getting full marks.